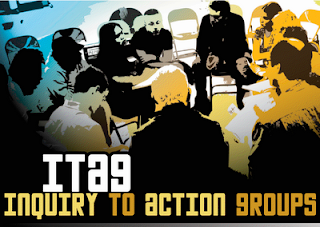 Chicago's Teachers for Social Justice is excited to launch Inquiry to Action Groups (ItAGs)-- an opportunity for educators and their allies to build community, access new resources, and link social justice with classroom practices. ItAGs are small groups of educators, parents, students, activists, teaching artists, and community members who meet to share experiences, dialogue about readings, exchange ideas and develop plans of actions. The goal of these ItAGs is to pursue a common inquiry on a social justice topic and create an action around this area of study. This exhibit will present material on a student action-research project around the Olympics created for a History course. It's geared towards helping students understanding social and economic systems, events, trends, individuals and movements shaping the history of Illinois, the United States and other nations. TBA. James Cameron's "Avatar" tells of the mystic, nature-loving Na'vi – tall blue creatures who inhabit the planet Pandora and must contend with humans intent on grabbing its resources. The film uses fantastic 3D technology, and aside from it's entertainment value, also prods discussion around capitalism, imperialism, occupation, eco-destruction, ableism, dissertion, resistance and traditional Hollywood race narratives. It has earned more than $1.1 billion worldwide since its release last month. Learn From Honduras: Teachers On the Front Lines! * Hear from our very own TSJ delegates who went to Honduras with the La Voz de los de Abajo delegation in October...as they share in depth what TEACHERS are doing on the front lines of the Honduran People's Movement. 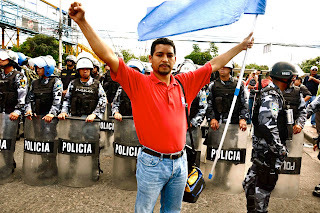 To include video, photos & audio with Honduran teacher activists. 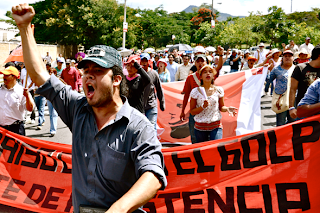 * Update on the struggles of the Honduran people for constitutional democracy! All are welcome- please join in. 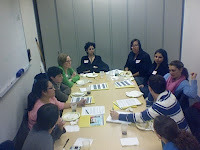 Thanks everyone for coming to the Teaching for Justice Curriculum Fair and adding to the vibrancy of the TSJ community. The energy, vibe, conversation, sharing that took place was really inspiring and we're so grateful to all of the event organizers, educators, presenters, youth workers, administrators, cultural workers, activists, parents, students and young folks who came out. The critical mass of volunteers was truly inspiring. * Help evaluate the Currculum Fair, we'd love to hear your thoughts & stories. 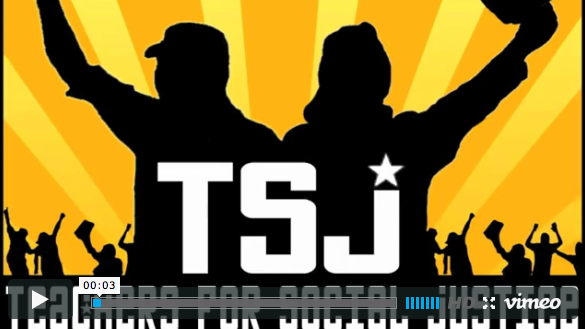 * Get involved in TSJ and planning the Spring calendar: Inquiry to Action Groups, Social Events, Movie Nights, Forums, Anti-Renaissance 2010 Actions, and more. * Check out video highlights from the fair's speakers. 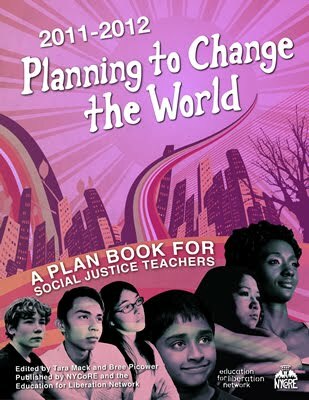 Teaching for Social Justice from the Ground Up from Teachers for Social Justice on Vimeo. 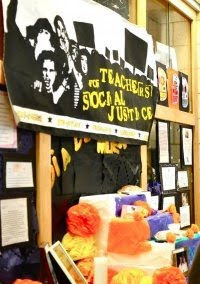 We are very excited that this November 20, 2010 will be the 10th Annual Teaching for Social Justice Curriculum Fair, co-sponsored by Rethinking Schools. This year's theme is "Another Education is Possible, Another World is Necessary!" In "science fair" format, and completely grassroots volunteer-organized, the Curriculum Fair will provide over 600 educators, activists, parents, youth & community members with a space to share curricula, resources, and inspiration. We'll be making friends & building relationships, exploring ideas & projects, connecting our histories & struggles. All in a spirit of social justice and education for liberation. DESCRIPTION: Even though students may live in a city, where the people they encounter each day come from all over, they might still be unfamiliar with any neighborhood outside their own. This lesson seeks to open the door to the exploration of Chicago neighborhoods and the unfamiliar through the use of mapping in abstract art. Students will explore the idea of creating artwork from the lines, shapes, and design of neighborhood maps. 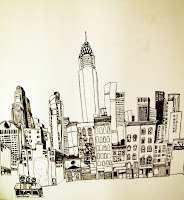 Students will select two neighborhood cutouts at random in addition to their own neighborhood, to trace and create an abstract design, exploring different techniques with oil pastels. 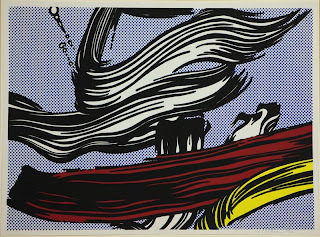 They will utilize the elements and principles of line, shape, balance, and pattern in their composition. In the end, students’ compositions will connect the three different cutout neighborhood shapes into one cohesive design, allowing them to contemplate how these different shapes and neighborhoods exist in the same space. The Chicago Freedom School, Project NIA and Teachers for Social Justice are partnering to develop a youth-led action research curriculum guide in order to contribute to the ongoing efforts by young people and their adult allies to analyze the root causes of youth violence and to create local solutions. Three months ago, U.S.-trained generals infamous for participation in the famous 1980s military death squads interrupted constitutional order in Honduras through a military coup d'état against democratically elected president Manuel Zelaya. In the wake of widespread reports of human rights violations and amidst a climate of intense repression and strong social resistance, La Voz de los de Abajo and Casa Morazan are organizing a solidarity delegation to Honduras next month. Teachers for Social Justice and others have been invited to send representatives and we will be sending two. You are invited to come learn about the resistance, express your solidarity with the people of Honduras, and celebrate the departure of this powerful Chicago-based delegation. Dinner will be followed by art, card writing & discussion, and feature photography of classrooms in Honduras. The celebration is also a fundraiser to cover costs of the delegation. As such, we're asking for a donation of $5 to $20. Dinner and dessert will be served! Wednesday, Feb 25, is the Board meeting where the Board will vote on the school closings. That's the big event...before that, Tuesday night is a candlelight vigil at the Board, 125 S. Clark St.
Keep watching for updates as plans come together! The contemporary artist Robert Gober gives subversive meaning to wallpaper in an installation at the AIC. Using juxtaposition and repetition, he turns the racist history that makes up America’s cultural background into a visual background. 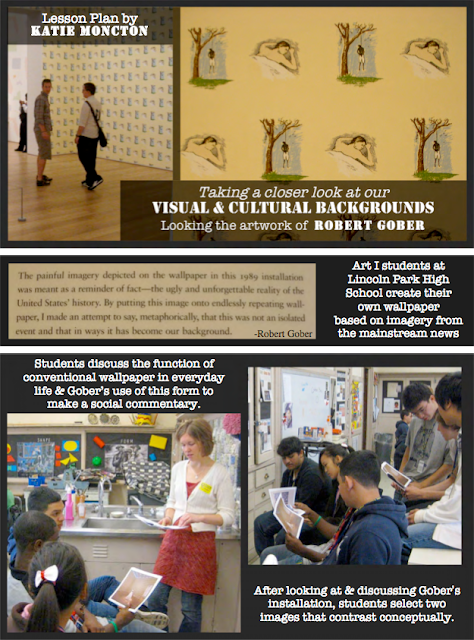 My lesson invites high school students to consider how to make their American cultural background visible by using Gober’s wallpaper form to juxtapose and repeat images from the mainstream news media after editing them. Teachers for Social Justice is hosting a forum on Restorative Justice and the Schoolhouse to Jailhouse Pipeline. An experienced and expert panel of community organizers, educators and youth will be discussing the impact of alternative methods of discipline, how such methods have proven to reduce school violence, and the relationship between education and incarceration. Following the panel discussion, our panelists will lead breakout groups to work with forum attendees to set up restorative justice practices in their schools and communities, to learn more about breaking the link between the schoolhouse and the jailhouse, and to gain valuable resources. We just got back from the 250,000 Immigration Reform March in DC. Needless to say, I'm exhausted. However, I've come back reenergized! Illinois Teachers and Educators! Here is your opportunity to advocate for your undocumented students. Teachers know first-hand the impact that the broken immigration system has on our students. Undocumented students deserve to have an opportunity at a real future! We are currently working on a teacher-led action on April 10th to pressure Congress into passing Immigration Reform this year. Let’s use the momentum from this weekend’s historic march, get yourself and any other teachers you know to the table. Our work isn’t over yet! Let YOUR actions speak louder than words! In the wake of the aftermath in Haiti and Chile, please join TSJ for a movie night filled with reflection, solidarity, and positive energy. Tourists flock to Jamaica to escape realities as it is known for its sandy beaches, laid back life style, and crystal blue water. However, the people of Jamaica can't escape the impact of the International Monetary Fund, the World Bank, and the Inter-American Development Bank in their daily lives. 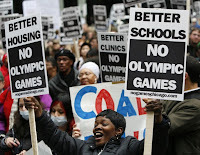 There was a huge, defiant protest of parents, students, and teachers at the Board meeting February 27th, 2009. Around 150 students walked out of Orr High School and picketed in front of the Board; buses and vans came from other schools. Some TSJ teachers took off work and some brought students to the protest. Congratulations! Despite carefully prepared testimony and strong evidence, school protests, door to door organizing, petitions, and courageous stands by families, students, communities, and teachers, the Board went ahead and voted its plan to close, consolidate and reconstitute 18 schools. Abbott Elementary School parents were victorious in stopping CPS's plan to close down their school which is the heart of the Wentworth Gardens housing community. Congratulations to Abbott parents and staff for this important victory!! 1) There is a large outpouring of opposition and many strong parent and community leaders with the clarity and will to fight for quality education for all children in their neighborhoods. 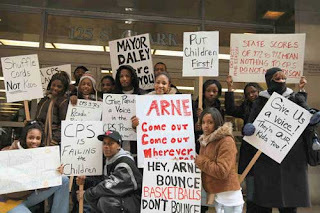 They are an inspiration and the base of a city-wide movement to take back Chicago public schools. 2) CPS administration has acted with complete disregard for the will of the community and all evidence contesting their plan. The "hearings" were a complete sham. Jobs in "turn-around" schools run by AUSL were already posted and postings closed by Feb. 20, 7 days before the board was supposed to weigh the evidence and make a decision about the schools. Parents at one school were told their school would be phased out even though officials had not looked at the evidence they presented. The board meeting was worse. Although we arrived at 6:30 AM they wouldn't let us sign up to speak until 8AM; they "reserved" exactly half the seats for CPS staff and only opened one overflow room to keep the public out of the public hearing. They kept out the hundreds of others who came to oppose the board's decisions even though there were empty seats in both rooms. They arrogantly disrespected the parents and students who spoke against the board's decision. 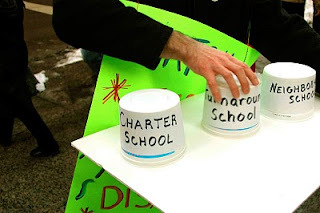 Neighborhood schools are being replaced with magnet schools, disenfranchising communities of color and handing over their schools to gentrify neighborhoods and/or save the board money. TSJ is working with an emerging coalition that includes Pilsen Alliance, Kenwood Oakland Community Organization, Save Senn, Midsouth Education Association, Blocks Together, parent groups at schools, and other community groups. Our common message is: Moratorium on all school closings until there can be an independent study of the effects on students and school communities. School decisions should be determined by the school community. *Strengthen and expand a principled coalition for equitable and quality education in the hands of communities. Define what this means and develop a protracted plan of unified action. *Strengthening democratically elected local school councils through a state law and by going all out for the LSC elections. 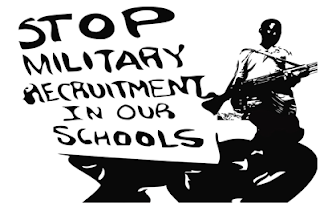 TSJ CALLS ON ALL TSJ TEACHERS TO RUN FOR THEIR LOCAL SCHOOL COUNCIL AND ENCOURAGE ACTIVIST PARENTS IN THEIR SCHOOLS TO RUN. AS TEACHERS, WE NEED TO WORK TO MAKE LSCs PART OF THE BACKBONE OF THIS FIGHT FOR OUR SCHOOLS. Two studies were released on Tuesday Feb 17th at a GEM press conference. They can be found below at the Collaborative for Equity and Justice in Education website. The first critiques CPS school closing criteria, examines patterns of gentrification and school closings, and has three case studies of schools to be closed (turn-around, phased out). The second analyzes ACT scores of charter and neighborhood high schools, and looks at differences in the student bodies. 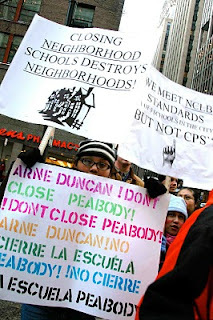 This report provides data that can be used to examine Chicago Public Schools plan to close, consolidate, phase out or turn-around 22 schools announced January 16, 2009. This report builds on the framework and analyses of the Data and Democracy research paper released February 2008. Rep. Cynthia Soto's HB 0363 putting a one-year moratorium on school closings PASSED the House Education committee on Thursday Feb19th...an important step in the process! It next goes to the House floor, then to the Senate. GEM (Grassroots Education Movement) people (including parents) came from Chicago and met w/ reps yesterday, then a number of people testified this morning at the committee meeting. A partial victory! See the press release from Designs for Change, a GEM member. The more we can add to this list, the stronger the momentum will be to pass the bill. Please help by CALLING your state rep on this point. Soto's press release which has "talking points" you can use. To find the State Representative for your school address or home address, go to: http://civicfootprint.org. Enter the address and all the elected officials for that address will be displayed. Thanks to Don Moore and Designs for Change for working on the legislative piece. Preview: The bag of items represents the stomach contents of a dying, 28-foot female sperm whale found on a beach in North Carolina in December, 1992. Veterinarians concluded that none but the smallest pieces of plastic could have passed through the whale’s intestinal tract, and that the garbage was a large contributing factor to, if not the entire reason for, the whale’s death. It is assumed that sperm whales either mistake plastic for food, or, perhaps more likely, go after squid that are hiding in and around the garbage and accidentally swallow the plastic as well. Finding plastic in whales is uncommon, but this is not an isolated incident. Most whales who die do so off shore and are not found by people. A discussion of the importance of Rainforests and how we can analyze their health. 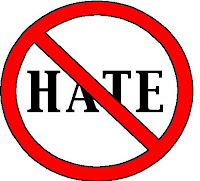 This activity inspires students to think about their own areas of bigotry and to identify how we develop our attitudes about others, and it empowers them to take action to reduce bigotry in their own lives and in society. From the Institute for Humane Education and The Power and Promise of Humane Education. 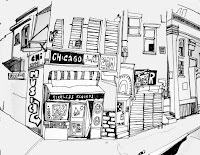 A visual arts lesson plan that allows students to explore their connection to their local community. 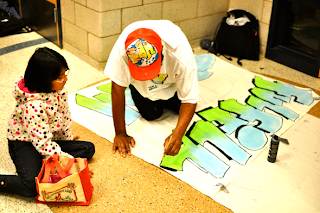 For very young students to begin to foster a sense of community engagement and social justice, an important first step is recognizing one’s connection and relationship with the immediate community around them. 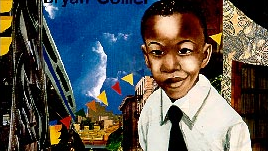 Using collage artist Bryan Collier’s book Uptown as a starting point, students will study the way that Collier integrates painting, photographic images, and other mixed media into collages that emphasize and celebrate the local cultural heritage of the neighborhood of Harlem. In similar process, students will choose a personally meaningful image from a wide selection of photos of places of interest from around their own local community, create a collage, and write a memory about their community. The exhibit will provide an explanation of the lesson, student work, and guidelines for how educators in other disciplines could use a similar process in their classroom. “What Young People Should Know Before Joining the Military” is a unit designed for a 10th grade US History class. 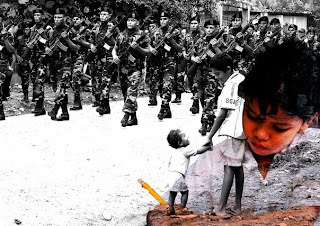 The historical component revolves around imperialism and the Spanish-American War. 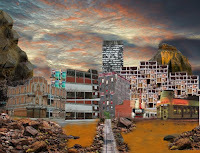 A contemporary connection is made through a look at imperialism and the Iraq War. The final project for the unit consists of group presentations on what CPS students should know about the military before they consider joining. The presentations were videotaped and then edited and compiled to make a 15-minute video that was posted on YouTube. To begin our study about standing up against hate, the students and I brainstormed words and situations that we associated with the word HATE. We created a web on large chart paper that still hangs in the back of the room. From this discussion, my students mentioned ideas around gang fights in their communities, violence on the street and bullying in school. We talked about how hate can escalate into violence and how people get involved in violent acts that are fueled with hate. The next day, the students were broken into groups to define vocabulary around hate and intolerance. 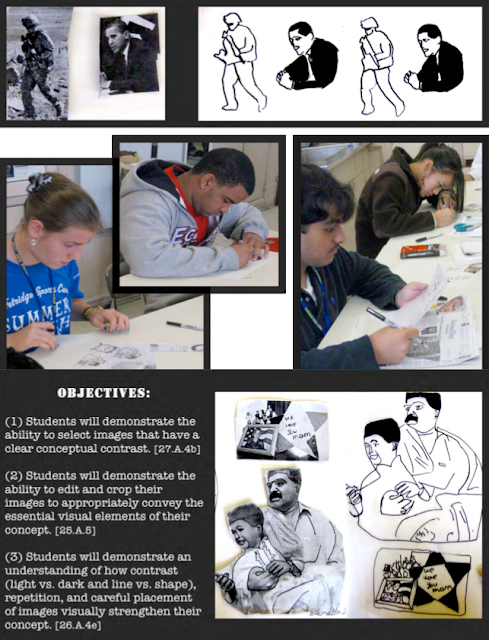 The students created their own definitions and then created posters to depict the meanings. These posters to posted around the classroom for reference throughout the entire unit. Vocabulary used: Intolerance, discrimination, prejudice, axis powers, allied powers, genocide, segregation, and holocaust. Compiled by Alissa L. and Liav S.
Unit Description: This unit will be based off the Teachers College Writing Unit for Realistic Fiction and Reading Unit for Character Study. Students will explore their own identities. They will have multiple opportunities to embrace those identities, which promotes positive self-esteem. 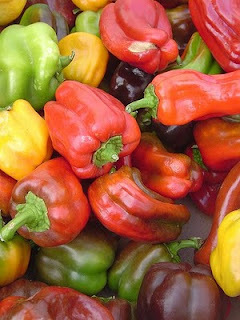 They will also learn how those identities can be the source of tension in various situations. Students will write Realistic Fiction pieces with characters that share similar identities to them. They will feature a situation where a particular identity is the cause of conflict. Most teachers spend some portion of the school year, especially early in the year, doing community building activities. Many of these activities are centered on getting to know each other. We believe firmly in “going deeper.” This includes developing students’ sense of self-love, acceptance and understanding of classmates, and strengthening listening skills in order to promote comfortable, safe learning spaces. CHAIN OF STRENGTHS AND WEAKNESSES – Students use sentence strips. On one side of the sentence strip the student writes one of his/her strengths (academic or personal). On the other side of the sentence strip the student writes one of his/her weaknesses. Students share these in a circle. As they share, students use a stapler to create a link in the paper chain. After each person shares, the class watches as the chain grows. The teacher explains how each person has strengths AND weaknesses. Teacher guides students to notice how flimsy a single strip of paper is compared to the chain. Teacher emphasizes that this year students do not have to feel alone when working on their weakness but rather that they have a support network. Our students frequently discuss their strengths and weaknesses openly and freely ask for help from their classmates. Our classroom environment is noticeably stronger because of these discussions around strengths and weaknesses. STRENGTHS/WEAKNESSES READ ALOUDS – Thank you, Mr. Falker by Patrica Palacco, “Raymond’s Run” by Toni Cade Bambara, found in the book of short stories called America Street, and Freak the Mighty by Rodman Philbrick are valuable texts that support the students’ acceptance of their own and others’ strengths and weaknesses. WEB OF COMMONALITIES – Sitting in a circle on the rug, one student starts by saying something about him/herself. Student then passes a ball of yarn to another person who shares that commonality. Students see how these commonalties make a web. They see how interconnected they are as well as how strong and intricate the community is with each and every commonality. The students really enjoy this activity! 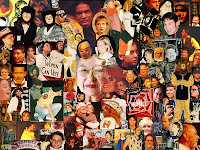 Later a bulletin board was created to visually show the activity and commonalities. Students, teachers, administrators, and parents loved looking at the bulletin board and began to see the values we are emphasizing in our classrooms. CLASS BILL OF RIGHTS – New York State begins 5th grade Social Studies with studying local, state, and federal government. Students review concepts government, democracy, basic rights, values, and documents through creating their own Class Bill of Rights. Students also review the Bill of Rights and the NYC Dept. of Education’s Student Bill of Rights. Most classrooms create some sort of classroom rules. Our goals were to connect classroom rules to the mandated Social Studies curriculum AND establish strong communities. WRITING ABOUT OUR IALACS – Our mandated literacy curriculum (the Reading and Writing Project from Teacher’s College at Columbia University) requires that students begin the year by writing Personal Narratives. We viewed this Personal Narrative Unit as an opportunity to build our community and accomplish our academic goals. Students had to feel safe to share these stories to partnerships and have others read them. Going through the Writing Process with an important, personal story was motivating for students. This also emphasized that authors write with purpose and often reveal themselves in their writing. ACTIVE LISTENING – During the first week of school, students created a Class Bill of Rights. The students chose to include “actively listen” as one of their agreements. A few weeks into the school year it became evident that students did not have a clear, or common, vision of what it meant to “actively listen.” These words had no meaning to them and therefore were not following the rule they had created. Calling out is a common issue during classroom lessons. In order to bring the students’ attention to this issue, try this activity from ___________. Begin by having the students stand in a circle. Present them with the challenge of counting to 10. There is no set order of who speaks and if there are two or more people who speak at once, the class starts again at one. Students are excited with the challenge, and start the game strong! Their concentration is clear! Then, students quickly begin to get stuck around 2 or 3. Stop the students to discuss why this is happening. Students explain that their classmates are “getting too excited,” “want to speak REALLY badly,” “forgot the rules,” or “feel the rules are too easy and don’t want to follow them” to name a few. Teacher then explains how these same things are happening in the classroom during lessons. Students are forgetting the rules or feel they were too easy and therefore don’t have to follow them. Students see this connection and it serves as a review of classroom rules and expectations. Play this game during transitions moments throughout the year and the students rise to the challenge! Once they get to 10, push them toward higher numbers! Students also participated in a simulation activity demonstrating the significance of “not listening.” Lesson taken from http://www.experiential-learning-games.com/listeninggames.html. Students then worked in pairs to describe Active Listening, its importance, and the danger of “not listening.” As a class, we constantly discuss how listening often seems so easy and effortless but it is actually quite difficult and is a skill that needs to be developed. Students were exceptionally responsive to our activities and constantly refer to it. Students enthusiastically decided to embark on a journey of developing this skill and wanted to start an Active Listening Campaign at our school. Students have discussed ideas such as an Active Listening art installation for other students to walk by in the hallway, offering Active Listening workshops to other classes, and creating public service announcements. “I CAUGHT YOU” JAR – Students fill out strips of paper where they can compliment a classmate on something wonderful they saw them doing. Students write things like “thank you for playing with me at recess” or “you made my IALAC feel big by explaining the math problem to me.” Once a week, the teacher pulls out three slips to read aloud to the class. Once the jar is full, all the slips are handed out to the recipients even if they have not been read. Our students look forward to this each week. They really enjoy complimenting each other and building up their classmates’ IALACs. 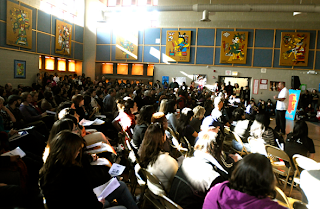 COMMUNITY MEETINGS – Students participate in weekly Community Meetings. This is a forum for students to bring issues to the community that are negatively impacting the classroom culture (i.e. bullying, classroom jobs not being fulfilled, teasing, stealing). The teacher or students may act as facilitators and must help resolve the issue. These serve as means to deliberately practice Active Listening and participate in democratic problem solving. 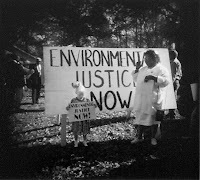 Register now for an upcoming workshop for educators entitled “Teaching Youth Activism through the History of SNCC" co-sponsored by Teachers for Social Justice and the Public Square at the Illinois Humanities Council. 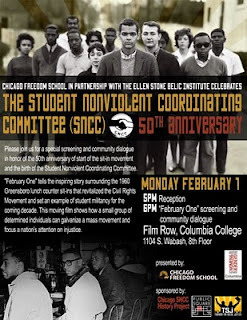 The workshop will examine youth activism through the history of the Student Nonviolent Coordinating Committee (SNCC). By using stategies such as sit-ins and boycotts and launching campaigns like Freedom Rides and Freedom Summer, SNCC was a model for youth-led social change and one of the major organizational players in the Modern Civil Rights Movement. DESCRIPTION: This project was inspired by poetry and the illustrations from the book, “A River of Words: The Story of William Carlos Williams” by Jen Bryant and Melissa Sweet. The book is about the story of William Carlos and how he became a poet. Melissa took words from the poetry and created her illustrations. The purpose of this lesson is to give students skills for visually interpreting the worlds of others through poetry. During the summer of 2009 thirty-five youth participated in a summer internship with the Umoja Community Builders (CB) Program. CB is a rigorous, holistic program which engages youth in meaningful community change work while simultaneously developing their self awareness and professional skills. Thirty-five students worked as interns, working 22.5 hours per week for 6 weeks. CB 2009 focused on the issue of food deserts and food justice in North Lawndale. The trajectory of the CB curriculum was to begin by understanding food access as a problem, move from food access being a problem to an issue, research the issue of food access in North Lawndale and finally analyze and present research findings to stakeholders. In the CB internship, a large focus was put on group work, critical thinking, and problem solving. Once a week, CB interns worked with our partner, Free Spirit Media, on creating a short film that documented their experience and work on food justice. Each day of the internship consisted of multiple activities aimed at moving youth through the trajectory described above. Attached are examples of two days of curriculum from the understanding food access as a problem unit of CB. When teaching our interns about food access we engaged them through story telling and simulation activities, understanding that these methodologies were critical in making the issue of food access relevant and personalized for our interns. Our curriculum is heavily based in dialogue, discussion, and reflection thereby creating a space for our interns to tell the stories of theirs and others’ communities. The attached curriculums are in draft form and pulled from the larger trajectory we were working within this summer. We have tried our best to pull out relevant activities that are adaptable to other settings. It is our hope that the ideas and concepts behind these pieces of curriculum will both provide concrete activities you can do with your youth around food justice as well as inspire you to adapt and create new tools for teaching your youth about food justice. We are happy to share other pieces of our curriculum with you. Curriculum Writers: Zarah C., William W., and Ilana Z. 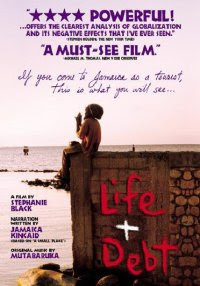 The Good Life Organization, working in partnership with The Firehouse and community arts center, and Social Justice High School has developed a curriculum entitled Fulfill The Dream that focuses on building bridges in communities for the purpose of aiding youth in the discover and cultivation of their “voices”. This program teaching youth to develop a critical media literacy and understanding of their world, while also giving them room to use the arts to dream and use their voices to dictate what changes are possible. 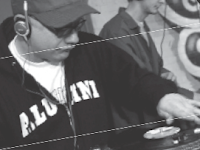 This program, which was piloted in LA in 2008, helped to bring the community together in Wilmington and put together a Hip-hop Revival which created an atmosphere for gang leaders to dialogue and agree towards working for peace. This program has currently adapted so that youth and adults in Lawndale can begin to assess their assets and creatively problem solve some of their communal issues together. might they overcome challenges and help find solutions. 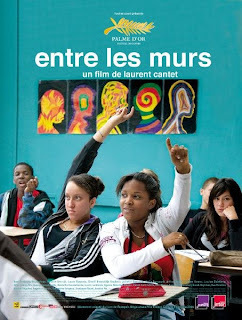 DESCRIPTION: The everyday life of our urban high school students is often overlooked in the public school classroom. These experiences are the very places where students are developing a sense of self and their own perspectives in relation to their cultural, social, and political environments. Moreover, bringing the everyday into the classroom is a critical and necessary form of pedagogy. In this lesson plan, students will utilize maps of Chicago while exploring the range of meanings that come along with the Fist, a hand gesture often associated with power and strength. Inspired by local Little Village artist Antonio Martinez, the students will incorporate their own fists into a sculpture that will in turn become a collective installation. 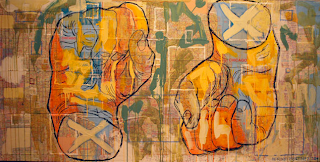 During this process, students will interpret Martinez’s use of fists in his artwork and discuss how this hand form can communicate a range of things in various contexts. The students are also encouraged to explore what the fist means to them and relate this to their own life experience. This is a great opportunity for students to reflect on and connect their own lives, culture, and urban environments to an art project. - Explain reasons why sweatshop labor exists. - List some the problems associated with sweatshops in the U.S. and abroad. - Contrast their own lives with the lives of sweatshop laborers. - Suggest ways to help end sweatshop labor. 1. Define the term factory farm. 2. Empathize with the feelings of factory farmed animals. 3. Identify some laws that protect companion animals (like dogs and cats) and endangered animals, but exclude farmed animals. 4. Identify some key differences in factory farms and family farms. List the causes, consequences, and ways to address the problems of endangered species, habitat destruction, global warming, and pollution. Relate a specific example of the consequences of allowing trash to enter our oceans. 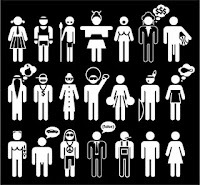 Recognize and discuss some stereotypes and prejudices that they may hold. Understand that stereotypes are often wrong and can be hurtful to others. 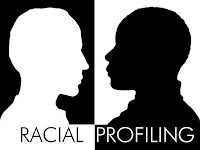 The purpose of this project is to investigate racial profiling, or Driving While Black or Driving While Brown (DWB/DWB). African Americans and Latinos/as have complained, filed suit, and organized against what they believe are racist police practices—being stopped, searched, harassed, and arrested because they “fit” a racial profile—they are African American (Black) or Latino/a (Brown). But is this true? How do we know? And can mathematics be a useful tool in helping us answer this question?